Hello, dear readers! Trying to get back up to speed after Christmas, but of course, the best laid plans of mice and men sometimes end up in unexpected car trouble and whatnot. Hopefully will be back in business by the afternoon. 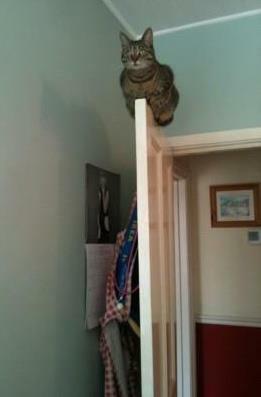 For now, here is a picture of a cat sitting in a completely normal place.